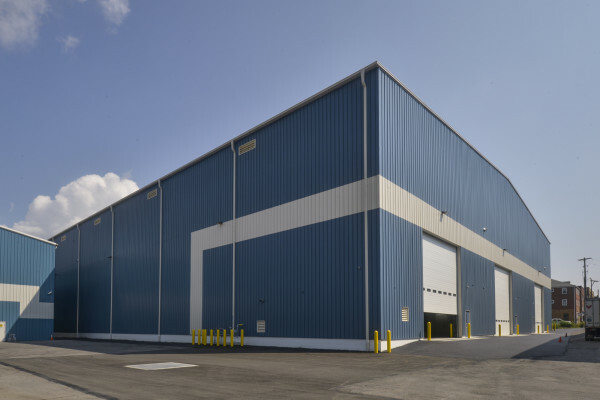 This project consisted of a new 43,000 SF high bay manufacturing facility for Lee Industries. The facility accommodates the increasing demand for their processing equipment and systems across the pharmaceutical, chemical, cosmetic, healthcare, and food industries. This new, state of the art facility will help supplement the capacity in their existing facility and will have the added capability of producing larger scale equipment. 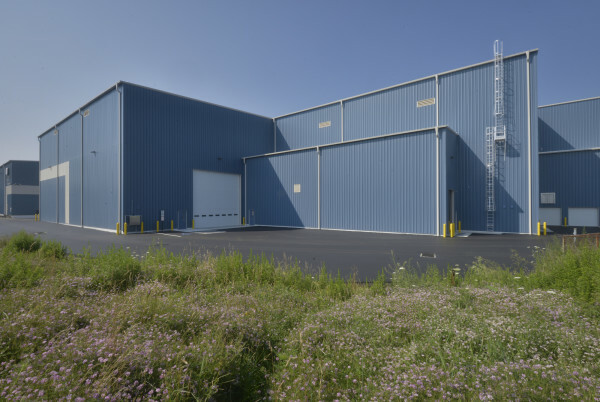 The industries they serve are constantly evolving, and this facility needed the capability of easily adapting to new processes and products. Our design approach was to make each bay/work station interchangeable and adaptable by providing the same equipment and utilities at each one, including a 2-3 ton jib crane, water, argon gas, compressed air, and electrical services. This approach allowed the client to respond to changing industry requirements and revise their processes accordingly. 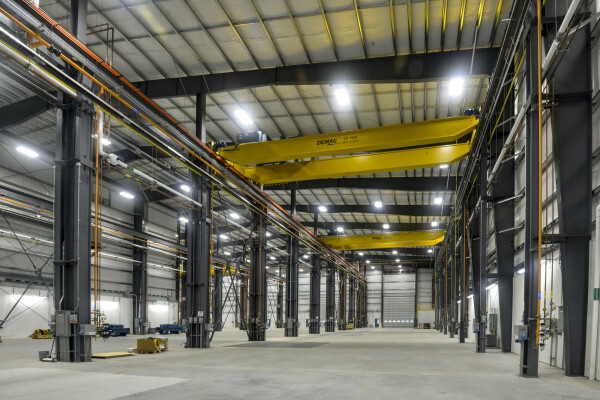 Some other features of the building include 5 overhead bridge cranes varying in capacity from 20-30 tons, clear hook heights of 35 feet that are positioned to move materials throughout the production process from raw material receiving to the shipping stage, 24 ft. wide x 24 ft. high overhead doors to accommodate larger products and materials, and a deionized water testing area to help facilitate their quality control procedures.